Have you ever attended a book club and an online written book club? 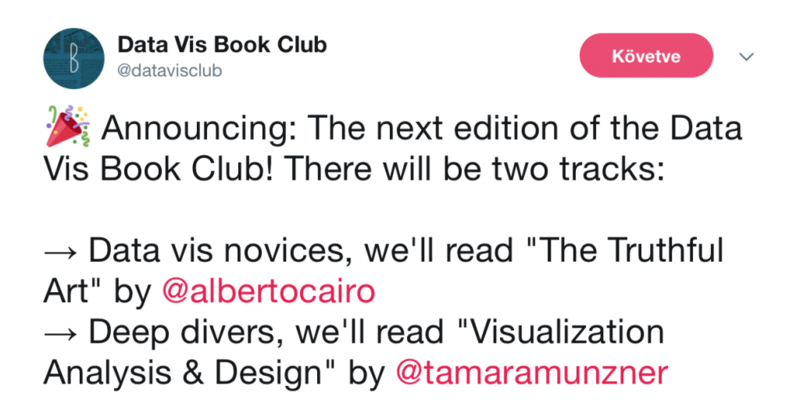 Lisa Charlott R. had a brilliant idea and organised a digital book club for visualization books. 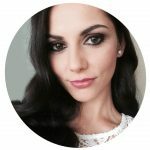 I love reading and it’s great to be able to know the opinions of others and have a community with whom I can talk about my experiences and get more out of the topic. The first book was one of Edward Tufte’s masterpieces: “The Visual Display of Quantitative Information”. I don’t want to write another review about this book. I just want to highlight its major points which I think are the most important. Don’t Lie or distort the data. 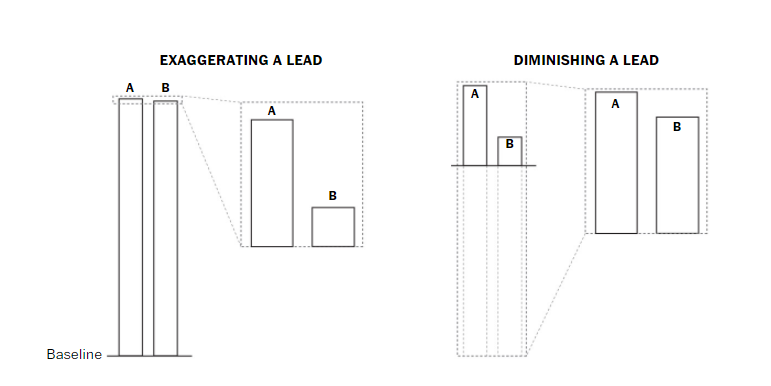 The most common type of distortion comes when a diagram misrepresents the data. These lies often caused by the lack of adequate knowledge or made intentionally. Do you remember the last American Presidential election? 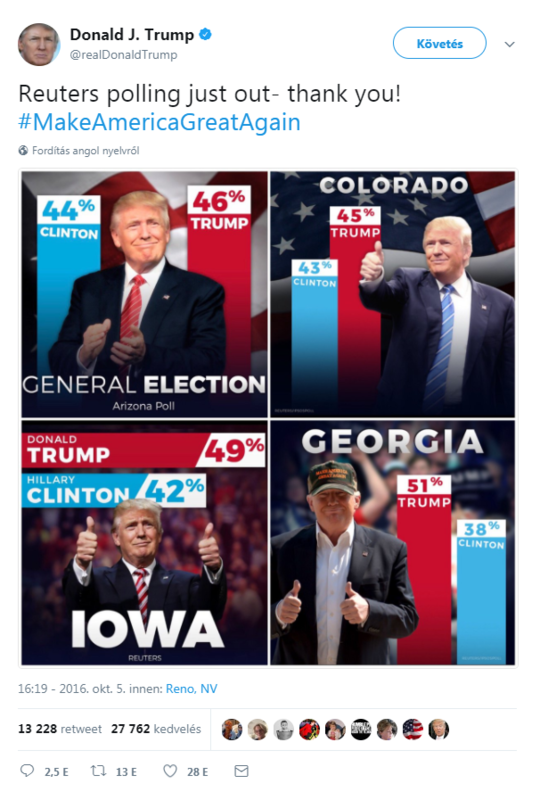 Donald Trump’s campaign has posted more than 40 bar-chart graphics showing favourable poll results. Here’s a chart the campaign tweeted on Oct. 5. Notice anything strange about it? How tall are the bars in the chart? Instead of ending at a clearly defined baseline, the bars fade to black. But if we add a baseline at the bottom of the graphic, the implied scale doesn’t match the numbers. It is confusing. 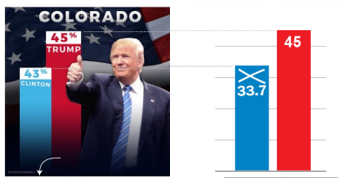 The chart visually inflates Trump’s two-point lead to over 11 points. If we adjust our scale to match the data, where would the baseline end up? Bar charts represent data using length. It is obvious and this means that if the bars don’t begin at zero, comparisons between bar lengths will distort the data. So just look at these examples: Bars A and B are nearly equal in length but we can exaggerate A’s lead over B by cutting off the scale. The distortion can also work in reverse. Trump used both manipulation techniques, depending on which one he liked. • Show data variation, not design variation. • Avoid the excessive and unnecessary use of graphical effects in graphs. 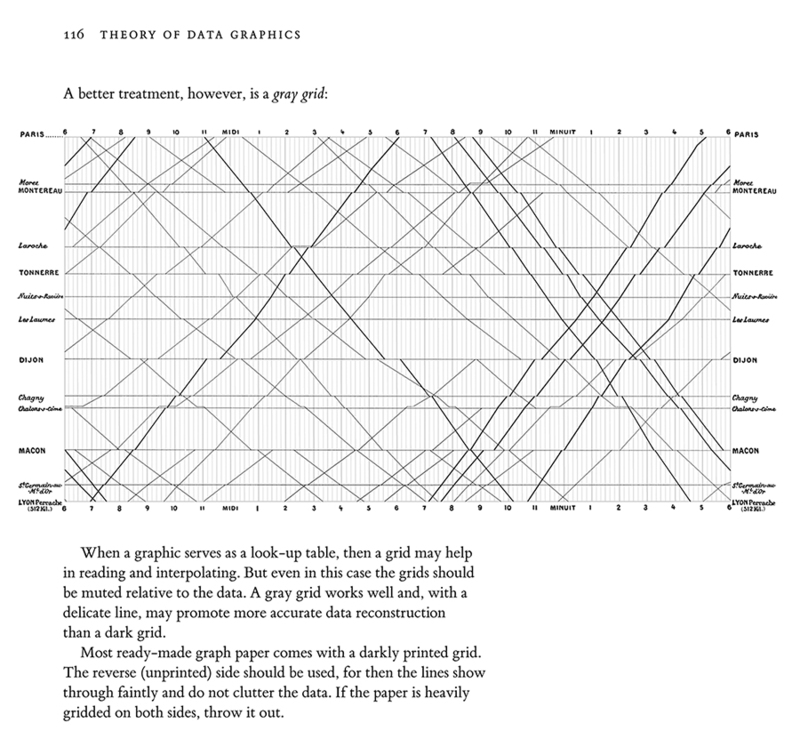 Tufte coined the term ‘Chartjunk’ The interior decoration of graphics generates a lot of non-data-ink that does not tell the user any new information. • Data- ink is the ink on a graph that represents data. Maximise the data-ink ratio, and erase as much non-data ink as possible. • Borders, shading, dark grid lines and needless labels are your enemies. • Banish them in order to draw attention to the data. 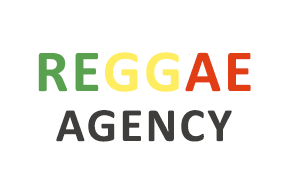 • More information is better than less information. • Remember friendly data graphics is your friend. We don’t like unfriendly graphics. 1. What was the most surprising thing you’ve learned? I agree with @sjocker. It is very shocking how close some of the very old examples are to what we do today. This question is not easy because I love The Minard Map. This is my best part when I teach my students or clients how to build a route map in Tableau. So yes I am a big fan of Minard, but I also like E.J. Marey’s Train Schedule diagram. This a a very remarkable representation of time-oriented information. It shows the train schedule for the track Paris to Lyon graphically. 3. What will you do differently the next time you design a chart, after finishing the book? I promise to always use grids. Now it’s your turn. If you have a desire to join the club don’t hesitate – @datavisclub. 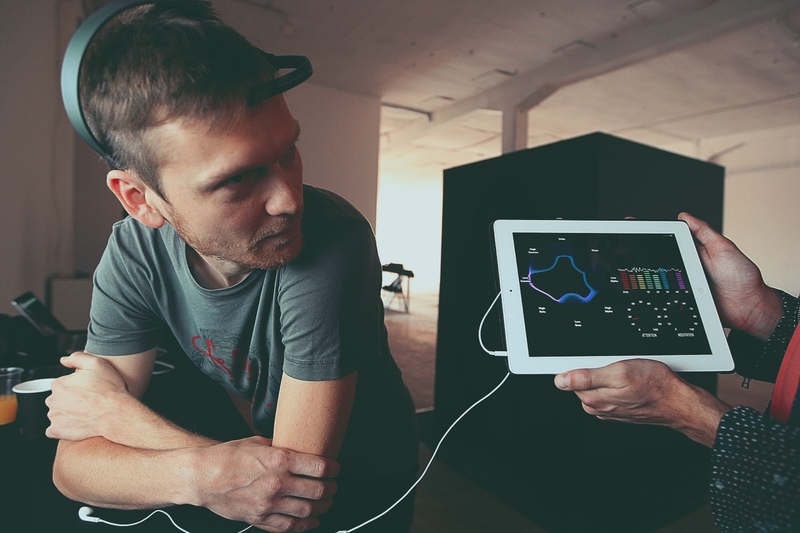 Anyone interested in a personal datavis club in Budapest? Check out this upcoming event and share your experience about the Tufte book.